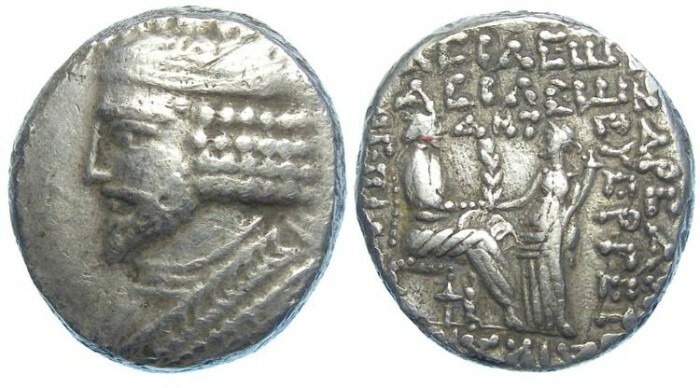 Parthia, Vardanes I, AD 40 to 45. Billon tetradrachm. Size : 24.0 x 26.3 mm. Weight : 15.54 grams. Obverse : Head of Vardanes I left. Reverse : The king seated right, recieving a wreath from Tyche, with Greek inscriptions around, with below the Seleukid era date of Year-354 (AD 42/43).